With the new spring season around the corner, now is the time to get all your display equipment sorted for a season of exhibiting. Are you using an iPad or tablet or your event? Having the iPad or tablet serve as a portable, simple display kiosk is a great way of connecting with customers at your event. Incorporating the touch interaction right in front of your potential customers is a great way to increase their engagement and focus. There are however some obvious questions you may need answering before deciding to take your iPad or tablet and create a display or kiosk in a public place. Will my iPad be secure? 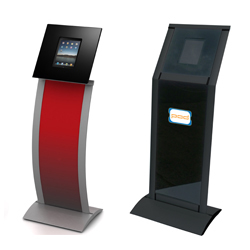 The range of iPad stands from POD puts device security as a top priority for peace of mind when exhibiting. The kiosk stand locks the tablet securely into the stand where it is protected but accessible for customers and visitors to your exhibitions. Can my iPad be tampered with? You have a choice to select the level of access with some of the kiosks in our range so that it won't get changed inadvertently or purposefully. The home button can be concealed or revealed and the power, volume and controls can be accessible or not depending on your requirements. Can the iPad Holders be knocked over? 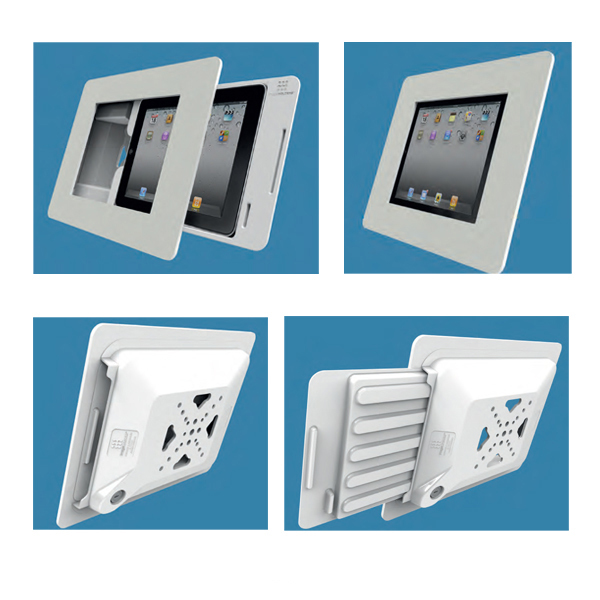 The aluminium base and profiles keeps the unit steady and vertical once the iPad or tablet is installed. The design is robust for a public environment but does not compromise on looks. The top section encloses the device easily and without fuss. The wall-mounted and counter-mounted units come with pre-drilled holes to fix securely. Can iPad Stands be branded? The Vertron range is popular for branding and advertising. The iPad display stand can be branded with graphics and logos to promote your company name, website address or corporate colours. Ideal for use where you want to draw people to the stand with a static branding or advertising message. I have another tablet – not an iPad! The Vertron range of iPad Holders can be modified to take any android tablet, as can some of our other units. 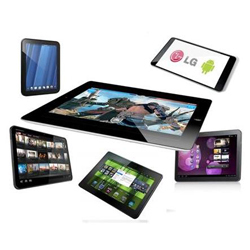 We customise enclosures for all touchscreen tablet PCs including Samsung Galaxy Tab, Motorola Xoom, BlackBerry Playbook, LG Optimus Pad, HP TouchPad and HTC Flyer. This does not include the Electrum range, which is currently only for iPads. Does the enclosure interfere with Wi-Fi signals? 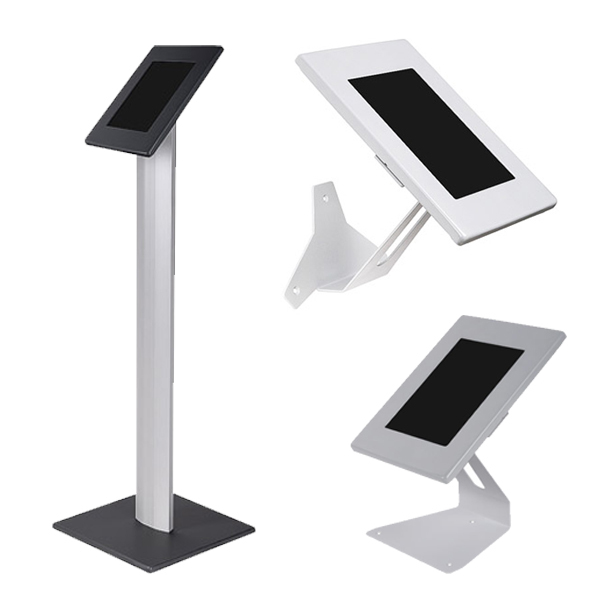 WiFi and 3G performance are unimpaired with all stands and kiosks in the iPad stand range. The iPad can also be displayed landscape or portrait. Companies now are looking to engage with their customers using iPad stands. From collecting visitor data to promoting your products and services, iPad’s have become a key feature at events and exhibitions. If you're looking for a professional way to incorporate your iPad into your event or exhibition this summer, call POD on 01933 411159 today to discuss your requirements.